Although it is unusual for a producer to lay down multiple fungicide applications, depending on whether or not early season pathogens like Powdery Mildew or Stripe Rust show up, Hunger says there can be the potential necessity for it. Especially with the added pressure of aphid infestations that can lead to the introduction of Barley Yellow Dwarf virus, plus other diseases that arrive with warm weather such as High Plains virus and Wheat Streak Mosaic. Hunger advises producers, particularly those in southern Oklahoma to start watching for signs of disease by at least late February as diseases generally reveal themselves by early March. 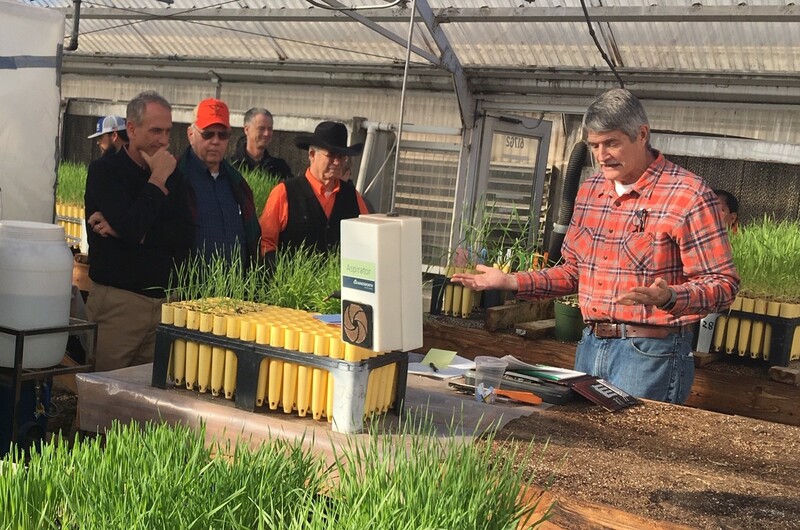 Hunger also reminds producers to tune into the weekly webinars produced by OSU Extension Services that will begin later this season, to stay up to date on latest information and reports that come in from the field. Hear Horn's complete conversation with Dr. Hunger for more of his insights, click or tap the bar below.